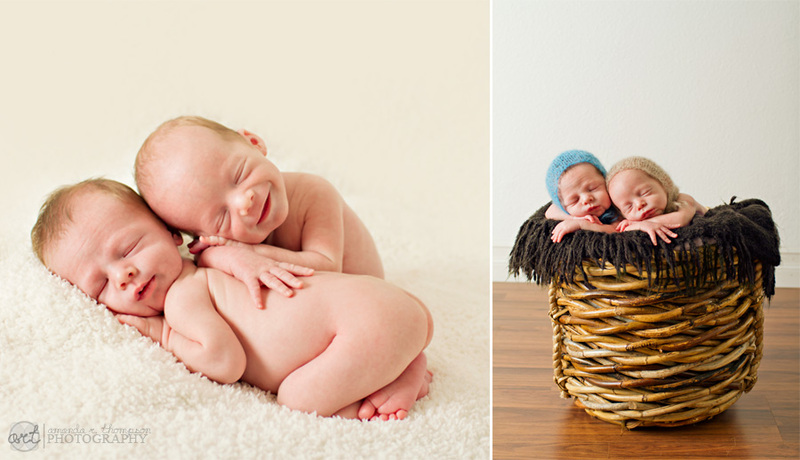 These fraternal twin boys came to the studio weighing all of 4 and 5 pounds at 12 days new. They were quite possibly the easiest, most dreamy twins ever. Just look at these perfect tiny models! They slept almost their whole session (minus a quick milk break) and smiled so many times we lost count. They even threw in a fun little prank or two to keep things interesting. A big thank you to fellow PoP, Emily Hall Photography, for being and extra set of hands for this extra fun Twin Newborn Session.